The Tylt Tunz Speaker is a new and unique small speaker that packs a surprisingly powerful punch. Inside the packaging you’ll find the Tunz, a carrying cases, three silicone bands, a micro usb to usb cable, and an auxiliary cable. Getting right into the review you can see the Tunz looks pretty awesome. The three bands can be interchanged to whatever you’re doing that day and are an overall nice addition. However, the main purpose to them is reducing vibration. Looking around the speaker, up at the top you can see four touch rubber buttons that are touch sensitive instead of physical. On the back you’ll find an AUX in and AUX out to the right of that you can see the USB charging port, a micro USB charging port and the power switch. The device itself has a nice soft finish to it that really makes it feel premium. Taking these bands off is actually surprisingly easy and not an issue. This is actually one of my favorite features of this speaker not because it’s super important, but because it allows you to give the Tunz a bit of a personal touch. The Tunz is very lightweight and a great picnic or outdoor companion. It’s a pain to take enormous boomboxes with you so the Tylt Tunz is the middle man between huge speakers and HTC Boomsound. Obviously you can’t take your stereo speakers everywhere, but you can take the Tylt Tunz with you. Moving on to sound quality, I wasn’t disappointed, it’s surprisingly good for being more of a portable device and is best used on the go. However, for the price it is quite expensive. One of my favorite features is the addition of NFC which I haven’t seen on many speakers. It’s also very quick and easy setting up the Tunz with bluetooth even if your phone isn’t NFC compatible. 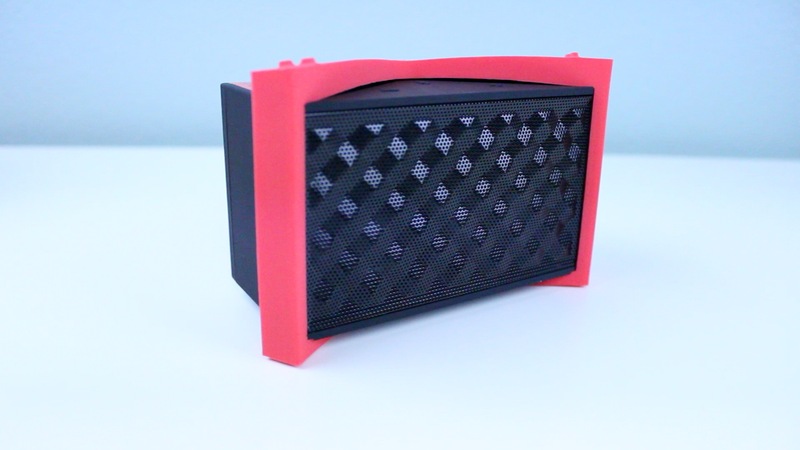 Overall, the Tylt Tunz is a real stylish speaker that I have really enjoyed using. It’s quite expensive, but I’ll have a link down below if you would like more on that. This is not so interesting before its tested against Klipsch kmc1, Loewe 2go, Minx go or mini boom box ue.